Under Armour Speedform Intake - Buy or Not in Apr 2019? This shoe has a lot going for it in the looks department. It comes in a variety of colors and styles, and like all Under Armour shoes, it looks great with workout clothes or casual outfits. Under Armor is proving itself in the fitness lifestyle genre and these shoes are leading the way. 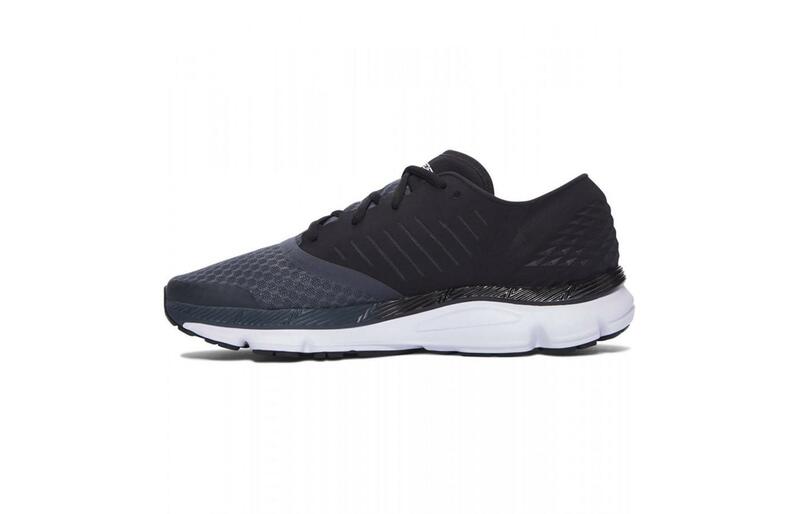 IN addition to the cool look of these shoes, performance wise, this is a shoe for the runner looking for a minimalist feel with minimal cushioning and a lower heel drop. Runners love this shoe for speed work and fasters, shorter races. Among the reviewers of this shoe were racers who claimed that the Speedform Intake helped them achieve PRs in recent 5k races. This shoe makes uses of every inch of the technology offered from the upper of the midsole to provide a customizable fit. Runners loved the lighter weight technology of the midsole and the added supports through the upper and the heel of the shoe. A few key attributes of this shoe are that it is able to offer unique stability features in a minimalist shoe. The price is right in line with the average running shoe on the market today, so it certainly won’t break the bank. The outsole of this shoe features a variety of outsole materials to provide lightweight protection and durability. The entire outsole uses a blown rubber material. Blown rubber tends to provide a more cushioned feel that is also lightweight. As opposed to other outsole materials, blown rubber can provide powerful protection without the added weight and bulk. In addition to the blown rubber that covers the outsole, Under Armour added high abrasion rubber to particularly high tread areas to improve the durability of the shoe. The high abrasion rubber can be found in the heel of the shoe as well as the midfoot. This material also helps with traction. The midsole of this shoe features a variety of technologies to provide a lightweight, minimalist ride for runners. The main midsole foam is the Charged Cushioning midsole foam that is unique to the Under Armor brand. This midsole is responsive and does a great job of maintaining its shape even after difficult workouts. Runners commented that this midsole did a great job of absorbing the shock of each footfall and returning that energy to the runner. In addition to this, runners can expect to find an embedded sock liner for added comfort. This sock liner is made from a wicking material that does a great job of pulling moisture from the foot to maintain a comfortable temperature and reduce the risk of odor causing bacteria from building up inside of the shoe. Just by looking at this shoe, runners can see that it has a clear focus on ventilation and fit. The entire toe box and tongue of the shoe are covered in ventilation holes that provide the runner with superior airflow. Even during warm weather running, athletes reported that their feet stayed cool and dry due to the breathability provided from this upper. In addition to this, the tongue and the collar of the shoe are padded to provide added comfort and reduce friction in these areas. This translates to fewer distractions for runners like blisters or hot spots. The Speedform Intake also features a unique Micro G Heel unit. This is an external heel counter that keeps the foot stable and protects the foot from accruing blisters and irritation. The entire material of the upper is made from a breathable mesh that molds to the shape of the foot. Combine that with a traditional lacing system, and runners reported that the shoe provides a customizable fit and feel. An area that won this high shoe praise was in its breathability. The entire upper is covered in visible ventilation holes that keep the foot cool and dry even on warm days. The superior airflow keeps the foot free from irritations and friction that can lead to painful blisters and hot spots. A unique feature of this shoe is that even the tongue is covered with an ultra-breathable material. This shoe falls into the lightweight category of running shoes. The female size nine is a mere 7.45 ounces while then men’s versions are 9.85 ounces. While this weight is not as light as other extremely lightweight shoes, runners raved about how light this shoe felt on foot. In general, the Intake is designed for speed, so the weight is minimal as is the cushioning. This shoe received high reviews for comfort from the runner who is looking for a minimalist shoe with limited cushioning. This shoe features a lower heel drop and designed to provide great energy return for the runner, but it not designed to provide a ton of plush cushioning. Under Armour has more plush shoes, like the Slingflex, but this shoe has a minimalist feel to it. However, Under Armour did make sure to provide the runner with details like a padded tongue and collar and a breathable upper to keep the foot comfortable during all activity. Under Armour is gaining a name for itself as one of the most stylish shoe brands on the market today. They offer a wide variety of colors and styles that look great with workout gear as well as casual outfits. The Intake follows this trend. It comes in a wide variety of colors ranging from bright and vivid to more subtle and muted. Whatever your style aesthetic, you can find an Intake option to suit it. 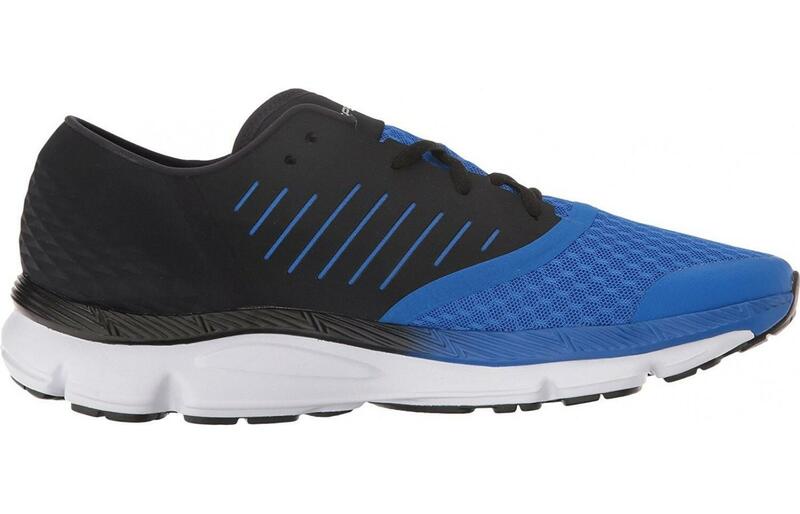 Runners raved about the overall responsiveness that this shoe provides to the runner. The use of the Charged Cushioning midsole foam provides the runner with a responsive ride that absorbs the shock of each footfall and returns that energy to the runner. The outsole of the shoe is thinner and the drop is lower and runners reported feeling very close and connected to the ground below them. This helped them make efficient changes in direction and speed. For this reason, runners loved this shoe for speed workouts on the track. The key supports of this hoe can be found in the midsole. The Charged Cushioning rises to adapt to the shape of the foot, and this provides the runner with added arch support. In addition to this, the embedded sock liner provides added support for the runner too. The upper material of the shoe is designed to mould to the shape of the foot as well, and this supports a natural movement of the foot and provides a customizable fit. Runners receive a dose of protection from the high abrasion rubber that lines high tread areas of the outsole. This high abrasion rubber combined with the blown rubber of the outsole protect the entire foot and from the elements of the road. It also acts as a protective barrier to protect the entire shoe from wear and tear. The external heel counter of the shoe does an excellent job of locking the foot in place and protecting the runner from an unwanted movement that can lead to injury. It also keeps the foot from rubbing along the internal material of the shoe which protects the runner from blisters and irritation. The charged cushioning of the midsole is a highly durable material that can maintain its shape even after tough workouts and extensive wear. 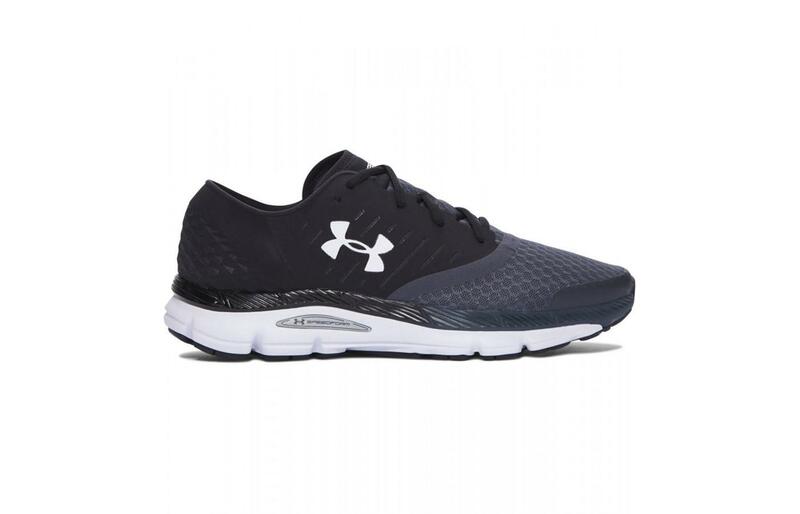 In addition to the Charged Cushioning midsole foam, Under Armour layered high abrasion rubber on top of blown rubber on the highest tread areas of the outsole. This is designed to protect the shoe from wear and tear. This shoe is designed for fast training and running on the pavement or the track. Due to the high level of responsiveness, runners reported that this is the ideal shoe for speed workouts on the track. While the high abrasion rubber of the outsole provides added traction, it does not add enough traction to protect the runner on any off-road adventures. The lightweight nature of this shoe also makes it a great choice for cross training and the lower drop makes it a good option of intensive weight classes like CrossFit or Body Pump. This shoe comes in the middle of the pack for the price. It falls right at the average price for a road running shoe on today’s market. The added durability found in the high abrasion rubber of the outsole also make this a good investment because it helps the shoe last for an extended amount of time. This shoe has two types of rubber found on the outsole. It has a blown rubber and then a high abrasion rubber that lines the high tread areas of the shoe. This high abrasion rubber does a great job of protecting the shoe from wear and tear but it also adds considerable traction to the shoe as well. This shoe has a flexible upper that moves with the shape of the foot. It conforms to fit each runner’s unique foot shape and doesn’t impede the natural movement of the foot at all. Additionally, the lighter weight and the lowered cushioning of the midsole helps this shoe move freely with the runner. For the runner looking for a flexible shoe, this one receives high marks. Although this shoe is a neutral running shoe and is not designed to support the runner with issues around over or under pronation, this shoe does offer some stability features through the external heel counter of the shoe. This feature is designed to lock the foot in place and increase the overall stability of the shoe. This shoe has an 8-millimeter heel drop. This drop is lower than the average shoe and provides less forward trajectory with each footfall. While this shoe is not quite the zero drop shoe of some brands, it does aim to provide more a natural feel than a higher, traditional drop shoe. Runners who are looking to transition from a traditional drop to a lower drop shoe found this to be a good transitional shoe to get the muscles in their feet and legs used to the lower drop without risking injury. 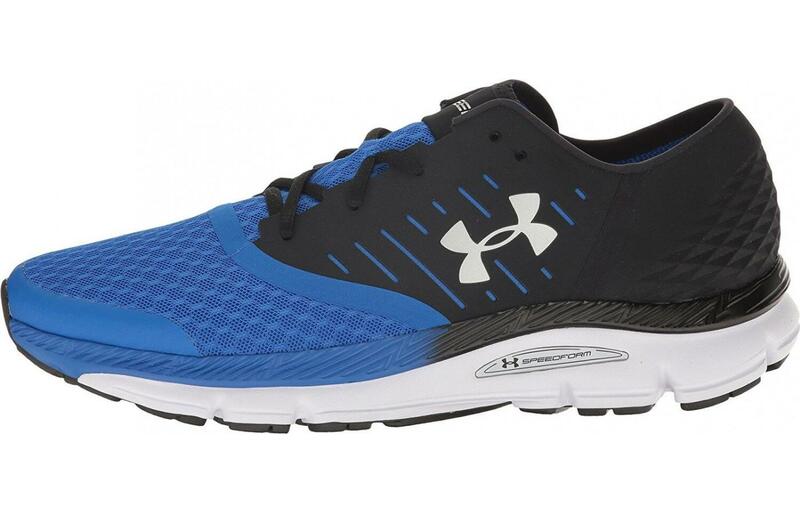 The Under Armour Speedform Intake is a shoe for the runner who is looking for a shoe that provides limited cushioning, has more of a natural feel, and looks great. It is a perfect shoe for daily training, especially speed work. This shoe provides the runner with a breathable, comfortable ride. The terrain that is suggested for this shoe is either pavement or the track for speed work. It is also a great shoe for cross training. Under Armour does a great job of creating a shoe that looks great with athletic or casual clothes and the Intake is a perfect example of this. Runners loved that the price is relatively low and the value is high because this shoe lasts much longer than other similarly priced shoes on the market today.